Unruly youngsters will love this story about a delicious-looking dessert whose manners and attitude are quite distasteful. 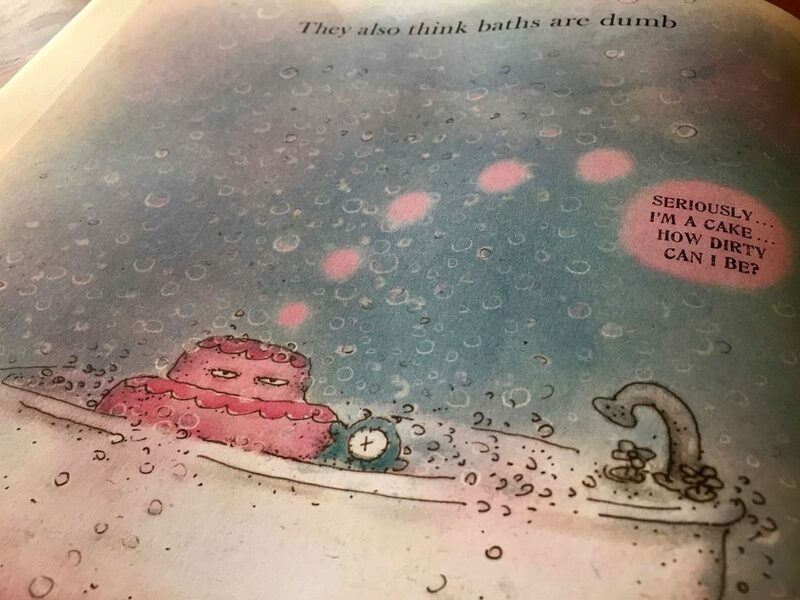 “Life,” Ralph Waldo Emerson said in an essay, “is not so short but that there is always time enough for courtesy.” But that which strikes adults as common sense is not always self evident to children. And when it comes to good manners, many kids are not as (ahem) polished as their parents would like them to be. 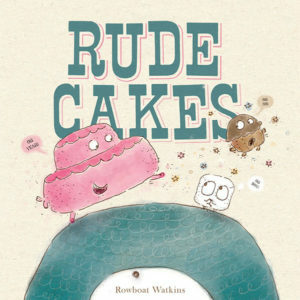 For all the ill-mannered and unruly youngsters out there, we present Rude Cakes (public library), a hilarious children’s book by Rowboat Watkins that tackles the matter of bad behavior head-on. 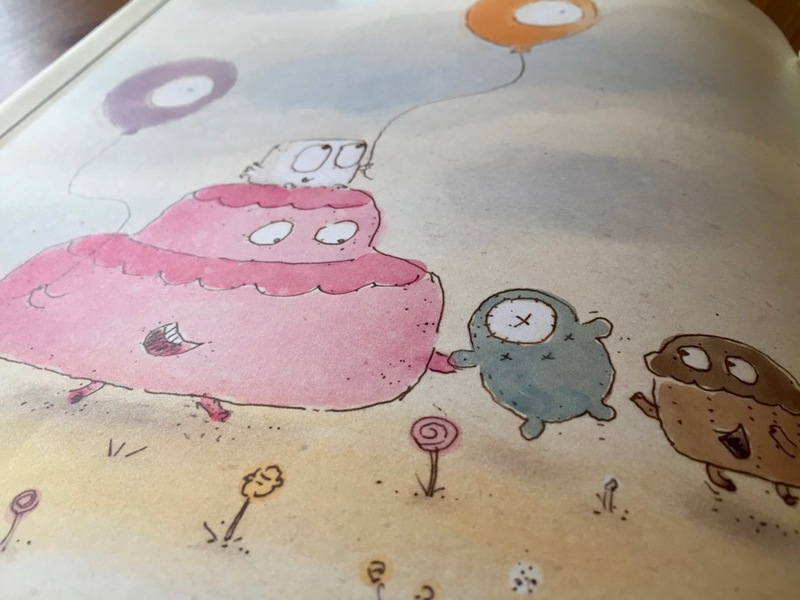 The story is about a rude cake, a delicious-looking dessert whose manners and attitude are quite distasteful. 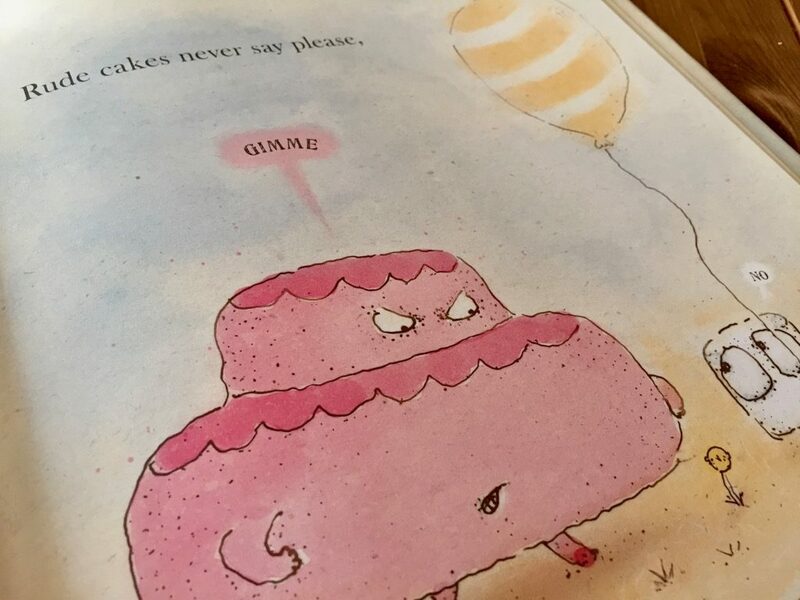 The rude cake never says please or thank you, never listens to its parents, and always makes the other characters cry. The captions are priceless. Rude cakes never say please, and they never say thank you, and they sometimes take things that don’t belong to them. Rude cakes never share, and they’re never sorry because they’re never, ever wrong. But then something unexpected happens. 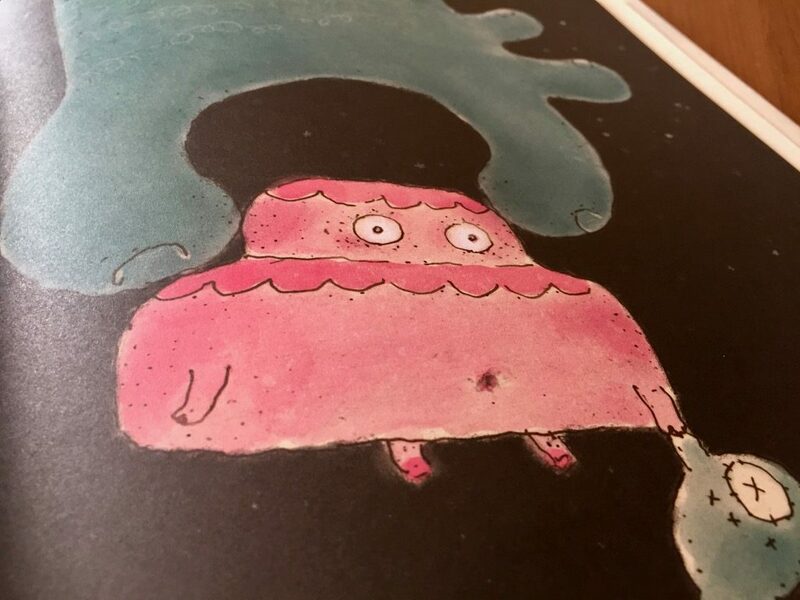 A giant hand plucks the rude cake from bed, and for one harrowing moment it appears that the rude cake will disappear into the mouth of a Giant Cyclops. Then readers discover that the Giant Cyclops just loves to wear hats. Giant Cyclopses love to wear jaunty little hats. Giant Cyclopses always say thank you, and they always say please, and they love to share. 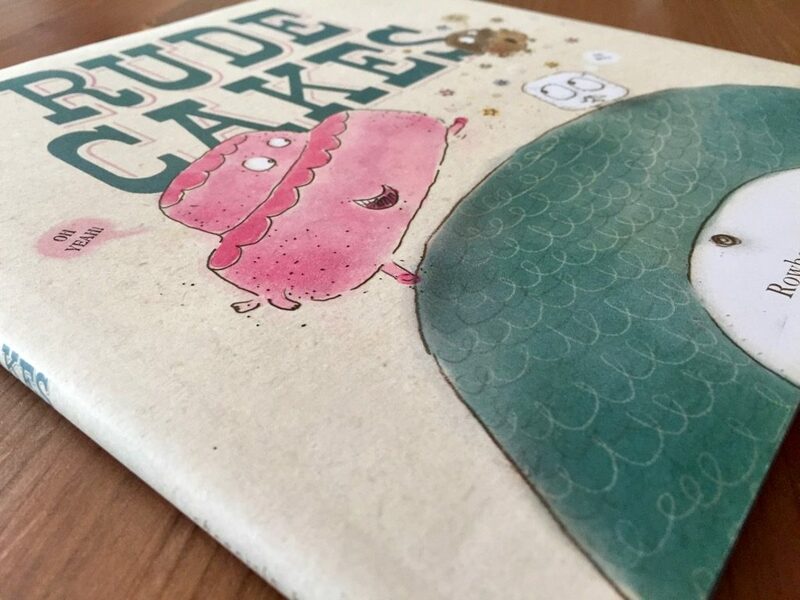 Funny and off the wall, Rude Cakes discusses a difficult topic without coming across as patronizing. 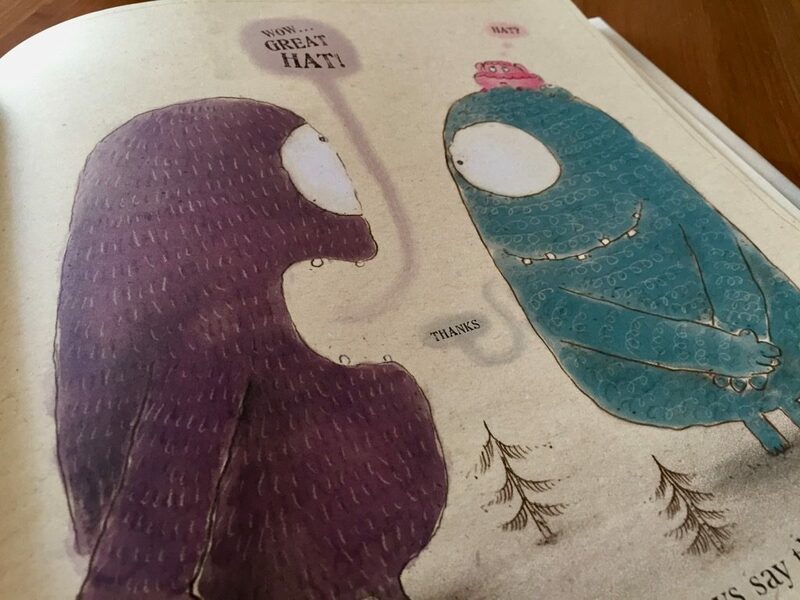 This children’s book is a great way for parents to talk to kids about bad manners. Complement with The Darkest Dark, a story by astronaut Chris Hatfield about overcoming fears of the dark.